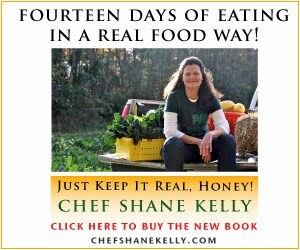 First, let me say how very proud I am of Deana and her family for taking on the “real-food, locally-grown challenge!” It thrills me to no end when another family makes the choice to improve their family’s health no matter how challenging it might be at times, particularly in the beginning. As we all know, the whole concept that food should be cheap and convenient has gotten us into a truckload of trouble! Food is fuel but it is also love when we’re supporting our local farmers and taking the time to prepare delicious and good-for-us foods. I’m” in love” with all my local farmers because they work so hard on their own family’s behalf and mine to feed and nourish our community. As we know, farmers are not in this for the money because most don’t make near what they should when you consider the hours they invest. So, let’s get out there and support them!